Stephen Leicht picked up the 3rd last-place finish of his NASCAR XFINITY Series career in Saturday’s Bar Harbor 200 at the Dover International Speedway when his unsponsored #99 B.J. McLeod Motorsports Chevrolet fell out with electrical issues after he completed 13 of 200 laps. The finish, which came in Leicht’s 96th series start, was his first of the season and his first in an XFINITY Series race since Charlotte on May 27, 2017, 52 races ago. In the XFINITY Series last-place rankings, it was the 12th for car #99, the 49th for electrical problems, and the 515th for Chevrolet. Across NASCAR’s top three series, it was the 32nd for the #99, the 119th for electrical issues, and the 1,629th for Chevrolet. Dover saw both Leicht and the #99 team return to the circuit after brief absences. Leicht was making his first XFINITY Series attempt since Road America in August, his fourth and most recent attempt to get Mike Harmon’s #74 into the field, which yielded a 33rd-place finish on the road course. It was a ride he secured following his mutual decision to part ways from JP Motorsports following the previous XFINITY race at Dover this past May. 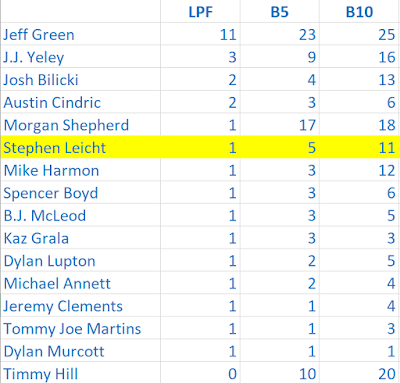 While Bayley Currey has driven the majority of the races since then, Leicht was still the “placeholder” for JP on preliminary entry lists before each week’s driver change. B.J. McLeod Motorsports, meanwhile, had entered its third team, the #99, in just five races earlier this year. The first was this year’s Daytona opener, where Ray Black, Jr. failed to qualify. The team then withdrew without a listed driver for the next two rounds in Atlanta and Las Vegas before McLeod himself turned just three laps at Charlotte in May. Black then rebounded from his Daytona DNQ by not only getting the car into the July race there, but finishing 22nd, three laps down to race winner Kyle Larson. Dover marked the team’s first series attempt since that night. Joining Leicht in the other two cars were the #78 CorvetteParts.net Chevrolet of Vinnie Miller, who shifted from JD Motorsports to the McLeod team the week before on the Roval, and Matt Mills, another JD export, in the #8 J.F. Electric Chevrolet. Miller would ultimately finish 25th on Saturday with Mills in 28th. Leicht, meanwhile, was one of 34 of the 40 entered drivers to participate in opening practice. He ranked 29th of that group despite turning just two laps. Absent from Happy Hour, Leicht also turned the 33rd-best lap in qualifying with a speed of 147.783mph (24.360 seconds), the slowest lap of anyone who didn’t need to rely on Owner Points. Starting 40th on Saturday was Leicht’s former boss Mike Harmon, whose #74 was driven the previous week by Ray Black, Jr. Harmon carried another new military initiative on his Dodge, Veterans for Child Care, whose representatives Craig and Aspen Sawyer took several photos with the team’s car and the “Miles the Monster” trophy. Engine trouble, however, prevented Harmon from turning a lap in qualifying, and the Dodge would be the only car to not take time. 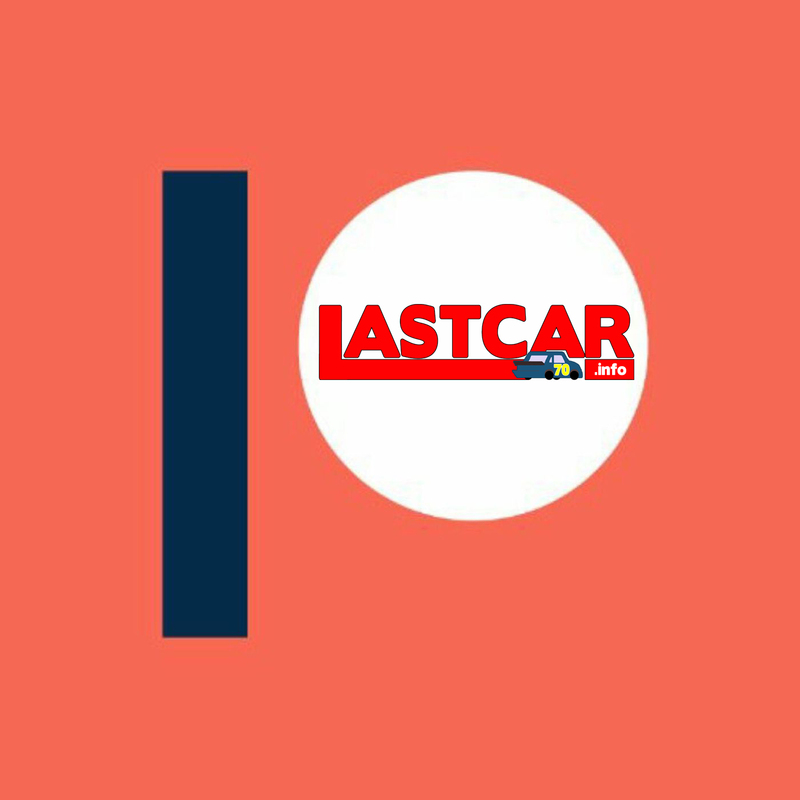 He’d incur a redundant tail-end penalty prior to the start for the engine change, joined by unsponsored JD Motorsports teammates Landon Cassill (#01 Chevrolet) and B.J. McLeod himself (#15 Chevrolet) for unapproved adjustments. The opening two stages were run without incident, and while a number of cars exited early, many were also tagged for pit road speeding penalties. On Lap 13, 36th-place starter Morgan Shepherd was tagged for too fast exiting. 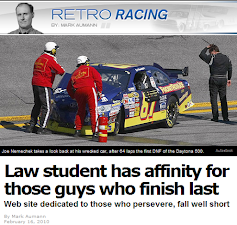 The same happened the next time by to Leicht, who served his penalty by pulling into the garage. Shepherd didn’t serve his pass-through penalty until Lap 21, at which point he too exited the race. Shepherd only finished 38th, however, as Jeff Green had already pulled his #93 RSS Racing Chevrolet into the garage. McLeod’s turn in the #15 ended with engine failure, leaving him 37th, while Carl Long, docked on Lap 63 for crew members over the wall too soon, pulled out of the race with suspension issues on the #13 OCR Gaz Bar Toyota. Last-place starter Harmon just missed the Bottom Five when his Dodge was flagged off the track on Lap 71 for not maintaining minimum speed. *This marked the second last-place finish of the season for B.J. McLeod Motorsports’ #99. McLeod himself piloted the car to an early exit at Charlotte on May 26, 2018, following an early vibration. 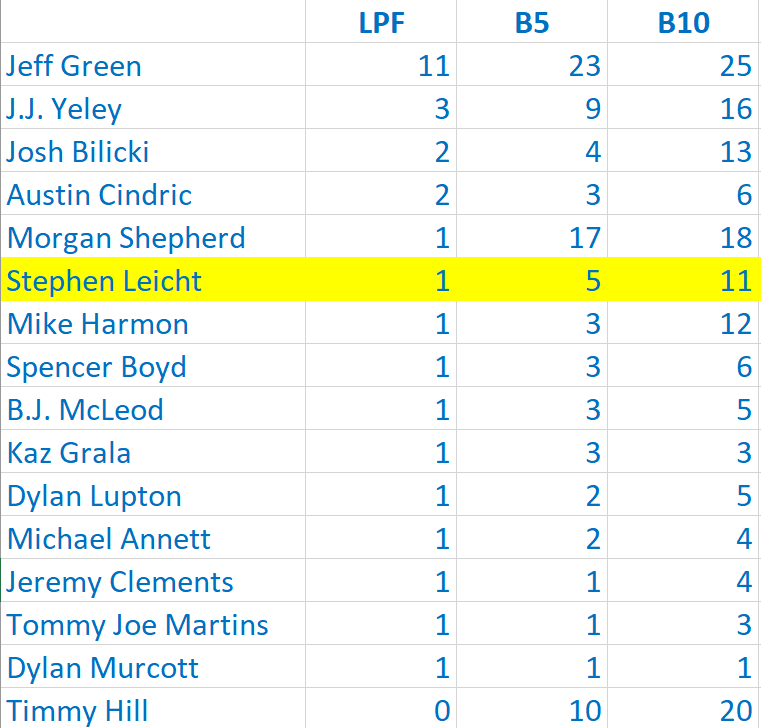 *Each of Leicht’s three last-place finishes in the XFINITY Series have come with different teams. 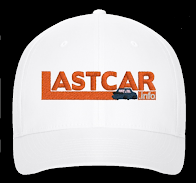 The previous two came with The Motorsports Group, owned by Curtis Key and Rod Sieg’s RSS Racing. 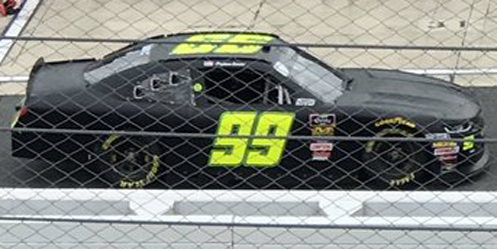 *This was the first last-place finish for car #99 in an XFINITY Series race at Dover. or is it say something and hope NASCAR believes it. From what I understand, the reason out is communicated from the team to officials in the garage area, then up to the booth. 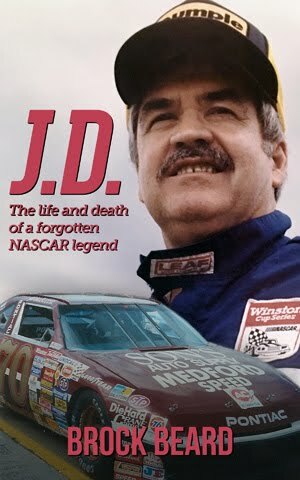 The NASCAR Official radio frequency is fascinating to listen to as you can hear that information communicated such as "66 out, transmission."